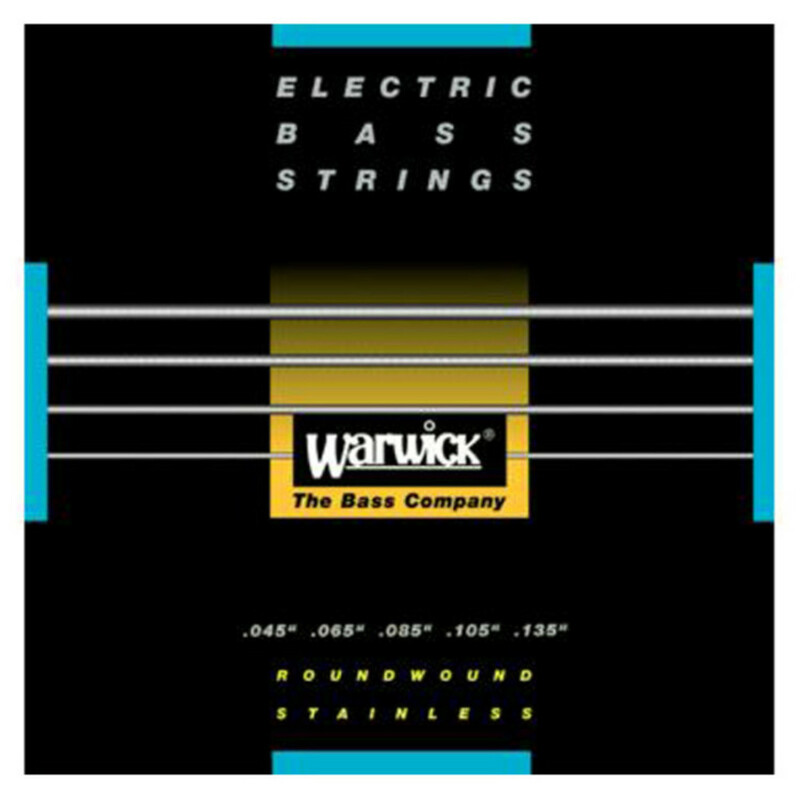 45-135 Black Label (Medium Scale) Medium, Low B Bass String pack from Warwick. This Warwick Black Label (Medium Scale) Medium, Low B string pack, 45-135, is for 5-string basses. The set consists of .045", .065", .085", .105", .135" sizes. These are handmade stainless steel roundwound strings. They have very precise intonation with a full, brilliant tone. These are what are strung on to Warwick basses.